Delicate, light, and refreshing, this easy frozen yogurt is a guilt-free dessert you’ll love. Whether you’re looking for a novel idea for a baby shower or cookout, or just a Tuesday night, try it out. Start to finish in under an hour! Watermelon is easy is fresh and easy to come by in the summer. So I had this crazy idea to combine it with dairy and turn it into an ice cream. Wanting a healthier alternative, I instead settled on frozen yogurt, using leftover Fage Total 0% plain yogurt I had on hand. I can’t think of a more simple, yet unexpected frozen yogurt flavor! If you are planning ahead, make the yogurt/watermelon base and chill until 30 minutes to 2-3 hours before serving. I don’t advocate freezing a low fat dessert for a long period of time, as it loses that soft, smooth texture and some of the flavor after it hardens in the freezer. The CD welcomes your feedback! 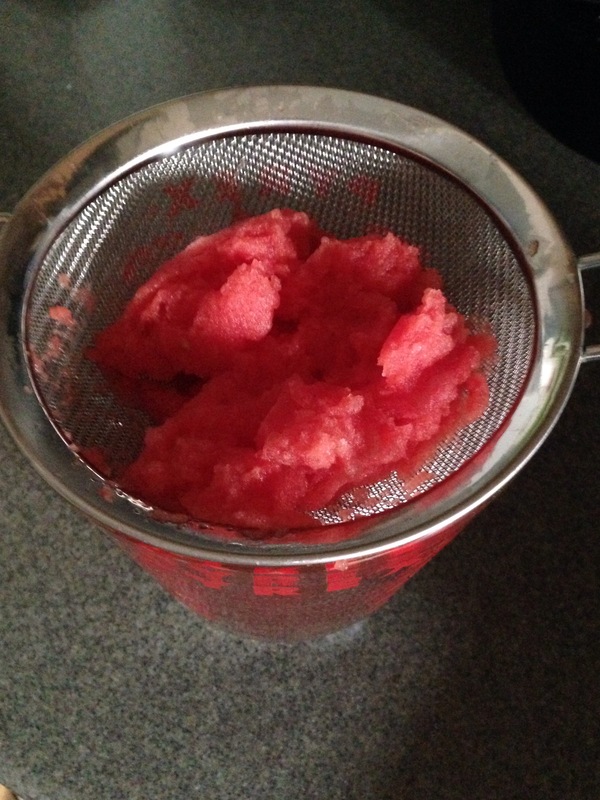 Puree watermelon in a food processor or blender. Strain the watermelon pulp over a bowl or liquid measuring cup. Do not rinse excess pulp from the empty food processor/blender bowl. Add yogurt to the food processor/blender bowl. Return the strained juice (yields about 1/2 cup of liquid) to the food processor. Add honey and lime juice. Blend/pulse thoroughly. Transfer mixture to ice cream maker or attachment and freeze/churn according to the equipment’s standard directions. Serve immediately for best flavor and texture. 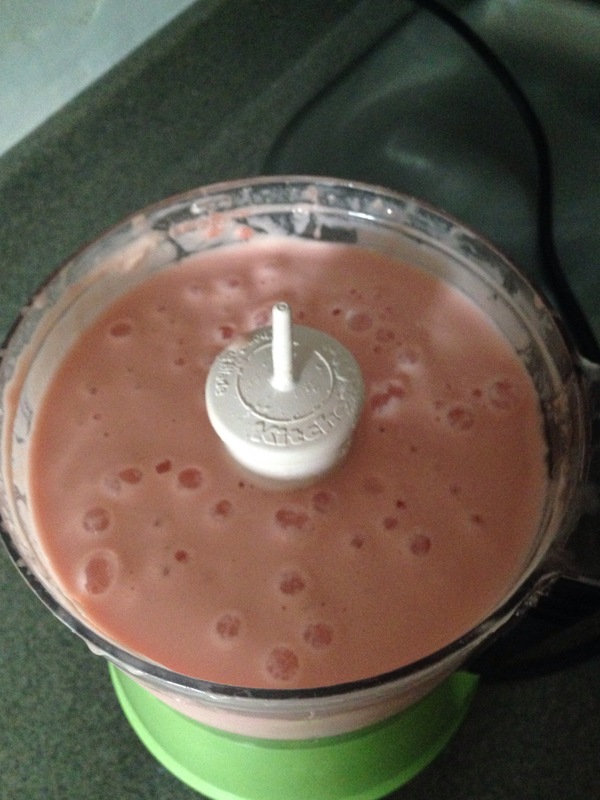 Leftover watermelon pulp can be used in smoothies. Waste not, want not!